For Tessa Leon and Triton Tunis-Mitchell, the road to 200hr Teacher Training with Power Living was one that completely changed their lives. Without a Power Living in their hometown of Adelaide, these two powerhouse yogis joined our vibrant community of teacher trainees for a journey that shifted their perspective and led them to become a key part of our Power Living family. Hear from Tessa and Triton about their experiences on our teacher trainings. When I met Duncan Peak and the Power Living tribe I’d been dabbling in yoga for a while, I’d done a 200hr training and taught casually, still working full time at a desk back then. There was always a sense that I was onto something big – that the potential of yoga to impact people’s lives and create positive change was massive. I guess I was dancing on the tip of an iceberg, lacking the skills and confidence to dive in and uncover what was really possible. Jumping into the 200hr Power Living Teacher Training is what changed that. I was blown away from day 1 at the depth of the technical knowledge and philosophical teachings we were given, the passion of the facilitation team, and the massive-hearted community that was created on retreat. It wasn’t like the other trainings I’d done; it was about looking at the potential of who I am and what my life is about, then stepping up to nothing less than the fully realised version of myself. It was about courage, and love, and a voracious commitment to personal growth. Then the best thing is, learning all that is then the catapult for teaching it to others. And so our Power Living Adelaide studio was born. I’m so excited for the next generation of curious yogis to discover all of that for themselves. If you’re thinking about the training yourself, all I can say is, take a deep breath and dive on in! Even though there wasn’t yet a studio in my home town of Adelaide, all roads kept leading to Power Living. Friends on the east coast kept buzzing about the strength and heart of teachers, and the vibrant community that they were part of in those studios. I had already completed a 200Hr yoga teacher training with a different group, but felt compelled to check out Power Living training to see what all the excitement was about. And it blew me away! The course moves seamlessly between technical anatomical corrections, philosophical depth, traditional teachings, and contemporary personal development work. 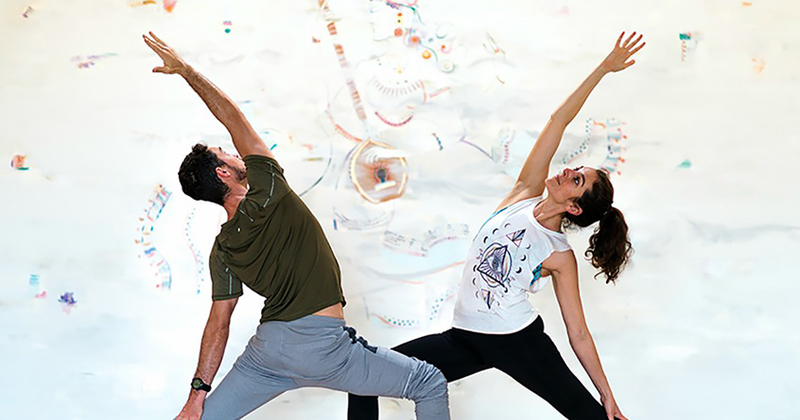 The facilitators are powerhouses and deliver not just the theoretical knowledge base but a real experience of what a modern yoga practice can feel like; awake, connected, inspired and powerful. Whether you plan to teach or want to dive deep into your personal growth, Power Living teacher training is absolutely next level and worth every cent. Like everyone else in that course, I walked away on fire with life and ready to share in any way I could. That energy was the beginning of Power Living Adelaide. Ready to find out more? Email programs@powerliving.com.au to receive our 200hr course syllabus and overview.